After building a flour mill in 1889, C.G. Jones emerged as an energetic businessman and civic leader, serving in the territorial legislature and as mayor of Oklahoma City. 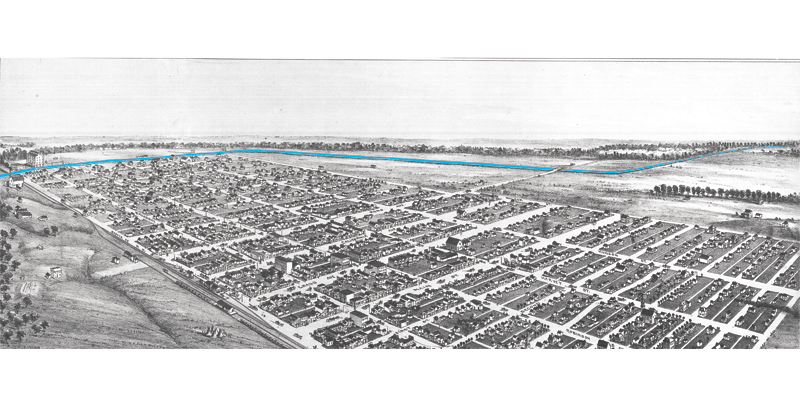 Charles G. Jones moved to Oklahoma City from rural Illinois in the fall of 1889 at age 32, determined to find opportunity in the growth of a pioneer city. He quickly set about building a flour mill to meet the needs of the surrounding country and to make use of the water power to come from the new canal. The five-story grain elevator and mill was the largest building in town by the first winter of 1889�1890. Jones was elected to the first two territorial legislatures, serving a stint as speaker of the House. He served as mayor of Oklahoma City from 1896�1897 and again from 1901�1903. He was a leader in promoting railroads�notably the Frisco�and the State Fair. Platting townsites along the rail lines, he gave his name to the City of Jones, where he owned a farm, and his son's first name to the City of Luther.